Cathy‘s father, who is constantly trying to convince his wife, Deidre, to leave their daughter alone and let her have fun while he read “Financial Times.” He soon regrets letting his daughter run off and play by herself. Hearing her screams, Paul and his servants were able to run to Cathy and save her. 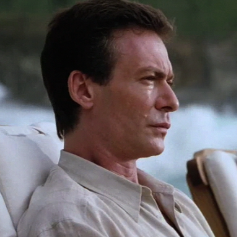 Paul Bowman was played by Robin Sachs. Driver Trainer from the Tour Vehicle Status on the Computer Monitors in Jurassic Park‘s Control Room.